The Rev. 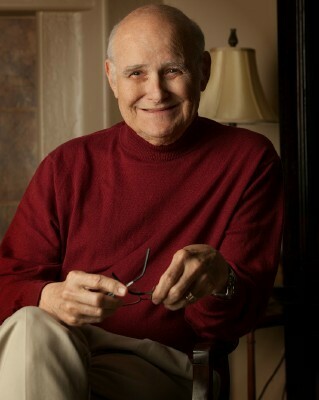 Dr. Jerry D. Elrod died peacefully at his home Sunday, February 8, 2015, in Fountain Hills, AZ. Jerry was known and loved by friends and family around the globe. His life journey began in a small rural community in East Texas known as Brushy Creek. His parents were Joe and Hazel (Fitzgerald) Elrod, and they both preceded him in death. He grew up and went to school in Palestine, TX, graduating in 1957 with a host of lifelong friends. He began his academic life at Lon Morris Junior College and he transferred to Southwestern University in Georgetown, TX, where he graduated in 1960. He immediately went to seminary at SMU in Dallas, graduating in 1963 with a Masters of Theology. He was a giant in the urban ministry movement (Omaha) that began in the 1960s, creating missions and liaisons between churches and urban communities that have made a significant difference in the lives of people of color, the disenfranchised and the poor. He was a church pastor, director of two urban ministry programs, and District Superintendent (Omaha). He also served two Interim appointments following retirement in 1997, one in Noonday, TX, and the second in Grand Bahama. It was during his 19 years in Omaha that he met and married Sharon Shaw, the love of his life. They lived in Omaha until 1985 when they moved to Tucson. He was offered the opportunity to start a new church in 1986, whereupon Desert Skies UMC was born. One of Jerry’s favorite stories about that experience was when the District Superintendent (Buzz Stevens) asked him if he would be willing to start a new church in NorthEast Tucson, Jerry’s reply was, “Buzz, I’ll start that church and guarantee you a strong church on two conditions: You get out of my way, and you stay out of my way!” Buzz agreed, and Desert Skies is a very strong church today. During retirement Jerry and Sharon built their dream home on land that had been in Jerry’s maternal family for over 150 years, in the Concord area of East Texas. Their home/property is known as Concord Lodge. They lived there for 15 years, moving to Fountain Hills with Jerry’s mother in late 2012. Jerry is best known for his church administrative skills and preaching. He had an uncanny ability to be able to diagnose an institution/system/program, figure out what needed to be done to improve and build on it, and then proceed with a detailed plan to fix it! He is a Legend in both the Nebraska and Arizona Conferences, and many clergy still recognize his name in the two Conferences in Texas. He had national and international relationships with other leaders who shared similar life values and church-related experiences, fighting for social justice and change to improve the lives of those whom society casts aside and ignores. Jerry did not shy away from conflict when it was necessary, nor from doing what is right and good on behalf of those rendered incapable of doing for themselves. When Jerry roared, everyone listened! He was a word craftsman, in the pulpit, in a meeting, talking with a friend on the phone, sending an email or Facebook message… Jerry could always be counted on to be poetic and spot-on with communication. He could always put into words what others stumbled around trying to say. For that immense skill, he will be remembered so fondly by so many. Jerry is survived by his wife of 40 years, Sharon; his son, Joel; and his step-daughter, Charlavan. He has four beloved grandchildren, Holly, Alec, Ani and Brittney; three sisters-in law, Jeannine (Jim), Marlene and Pat (John); and a host of nieces, nephews, and beloved cousins. Jerry is also survived by three aunts in Texas. His three canine boyz, Patton, Zebediah and Isaiah were his constant companions and the mutual love they all shared was one of Jerry’s lifelines! The Celebration of Jerry’s life will be held Friday, February 20, 2015, at The Fountains, a United Methodist Church, at 10am. Inurnment will be at Desert Skies United Methodist Church, in the columbarium. A pictorial tribute can be viewed here.